Sign up for the MCF blog and download for FREE the Top 5 Blog Posts to Make You a Better Real Estate Investor. Nunc efficitur nisl mi, ut ultricies tortor lacinia eu. Nunc dignissim blandit feugiat. Nullam gravida tincidunt erat et accumsan. Etiam fermentum rhoncus erat, tristique. During my 30+ years in commercial real estate I’ve come to realize there are two common ways investors value properties. Many savvy real estate investors have a fairly simple analysis, an almost “back of the napkin” approach to making purchase decisions. And it works well for them. They value properties based on a combination of a big picture, “30,000-foot view” of the property and gut instinct. And then there are some investors I’ve worked with who like to “get in the weeds.” They enjoy the process of getting as much data as possible to make an informed decision. This is my personality bent too. I want to make sure I’m not missing some arcane but important detail that will make my purchase decision a no brainer. How much are rents going to increase over time? How long will you hold the property? What will be the rate of inflation over the holding period? 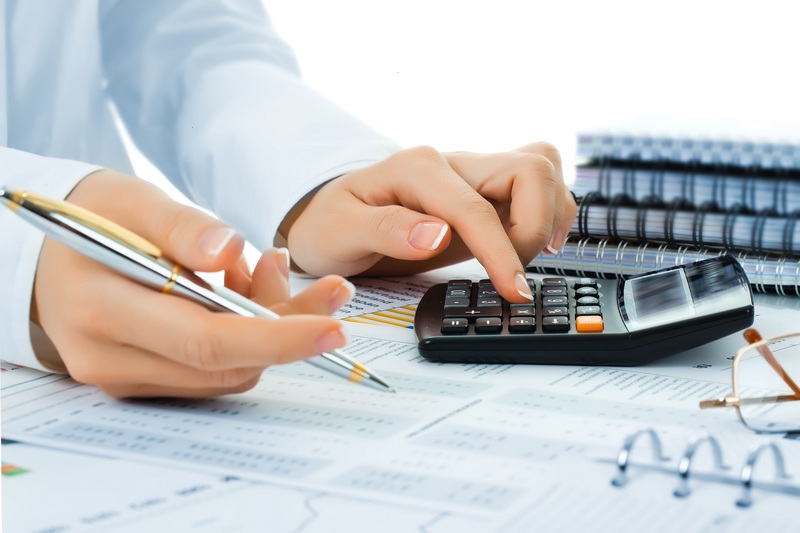 What will be the cap rate at the time you sell the property? These questions are all unknowns. In fact, they are unknowable. And yet all of these assumptions have to be made in order to determine an IRR. It’s a classic example of GIGO (garbage in, garbage out). I’ve listened to CCIM instructors tell their students that you should buy the property with the highest IRR when one property had a 14.19% IRR and the other had a 14.23% IRR. Really? What will I offer for the property in an as-is condition? What is needed to renovate the property and how much will it cost? When the improvements are completed what will be the new market rents? How long will it take me to achieve stabilized occupancy? What type of financing should I get? A perm loan with a holdback for repairs? Or a full-blown bridge loan followed by a competitive non-recourse loan? All of these assumptions are at the very least educated guesses, if not very knowable inputs. Once it’s modeled up, I focus in on a before-tax return-on-equity in the first year of stabilized operation. If it’s in the 5% or better range then I know it will do well over time. Depending on your assumptions, you can get whatever IRR you want to get. If it’s not high enough to justify purchasing the property, then increase your annual rent growth by another 1% or lower your sales cap rate in year 10 by 50 basis points. Thirty years ago, as a financial analyst for a syndicator that was my job. I played with the numbers until I got the desired return my boss wanted for our investor presentations. In my opinion cash flow is king. But you can use an IRR calculation to justify purchasing a property having little or no annual cash flow but a higher IRR by inflating the sales price in year 10 over a property that has generous cash flows over the holding period. Sorry, I would rather choose the property with the good cash flow and slightly lower IRR than the property with little cash flow and higher IRR. Wouldn’t you? Knowing those 4 things, I can then run an accurate IRR calculation. The properties I’ve sold have had an IRR as low as 7% and as high as 28%. But I calculate an IRR calculation after the property is sold, not before because there are way too many unknowns. 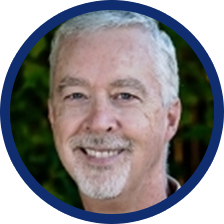 If you would like to learn the specifics of how I analyze a property purchase, I would encourage you to listen to a short two-minute video presentation by clicking on this link to my website and then download for FREE my Property Investing Analysis Spreadsheet. Give me your thoughts. What approach do you use to value your real estate purchases? What type of financing should I get? Rennie, good to hear from you. You shouldn’t feel guilty about your approach to valuing real estate. It may be simple, but it works. The vast majority of my investors do the same thing. Hey Sam. How’s life? I think you and I are on the same page when it comes to IRR. Unfortunately most of us in the business, whether real estate professionals or investors, consider IRR with too much respect, as if this approach is the final word on whether or not to invest in a property. It shouldn’t be considered with such reverence. It’s a tool and it can give you bad results if you make bad assumptions. It’s as simple as that. Thank you for your comments. As with most things in life…common sense might dictate. What is unfortunate is the number of uneducated clients who also have uneducated “professionals” sending them or potential buyers down the wrong financial path by tossing out lingo like this, slapping out a number like “an 8%CAP” and everyone takes it at face value. That’s where I value the common sense side of CCIM and it’s good to question to the next level. Couldn’t agree more! Hi Steve. 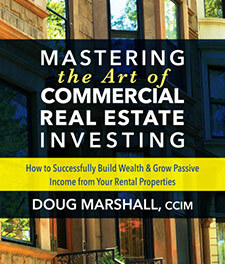 It is surprising to me how many uneducated commercial real estate “professionals” there are. I’ve also learned that common sense is not common. Real estate investors need to do a better job vetting their real estate team. Thank you for sharing your thoughts. Marshall Commercial Funding is an independent commercial mortgage brokerage firm. Our goal is to match our clients with the best possible loan alternative that achieves the owner’s financing objectives. Ranked as a Top 10 US Commercial Mortgage Broker by Top Ten Reviews. 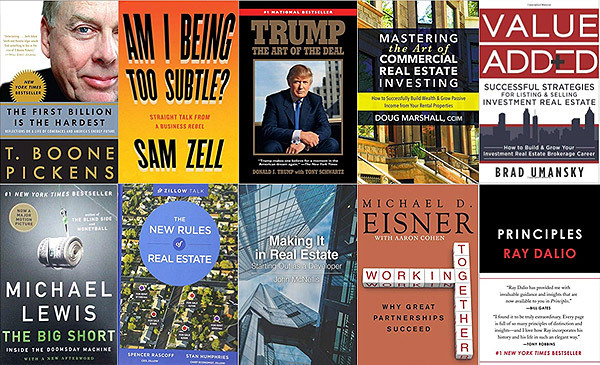 I’m honored that my book, Mastering the Art of Commercial Real Estate Investing, is included in this list of the top 25 business and real estate books of all time. Want to know if you got the best possible loan for your property? A Mortgage Solutions Blueprint provides several loans to easily compare. The Six Surprising Laws of CRE Investing- As long as you follow these six fundamental principles of CRE investing, you can be confident you’re investing wisely. Otherwise, you can go through life being part of the herd, following the latest trend only to be sadly mistaken when the real estate market turns. 9 Reasons Why Owning CRE is Far Superior to Owning REIT Stocks- I am annoyed by a REIT promoter who trashes investing in real estate. Read my more reasoned analysis comparing the two asset classes. Decide for yourselves. How to Determine Where We Are in the Real Estate Market Cycle- I often get asked, “Is this the right time to invest in real estate?” It’s a legitimate question. As capitalization rates have steadily declined and property values have rapidly increased, this question becomes ever more important to answer. Find out my approach to answering this question. Do you have questions? Do you have a loan request you'd like to talk to us about? Give us a call! Please remember that we only facilitate loans over $1 million. To skillfully match borrowers with lenders in order to achieve the owner’s financing objectives. Marshall Commercial Funding is an independent commercial mortgage brokerage firm dedicated to tailoring loans to meet the specific needs of our clients. Our goal is to make the loan process a success for our clients while providing the highest quality service. Copyright © 2019 Marshall Commercial Funding. All Rights Reserved.